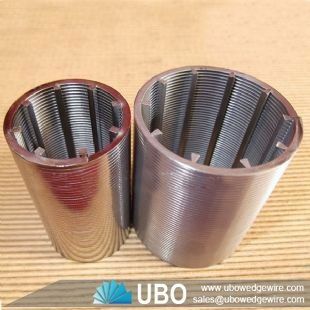 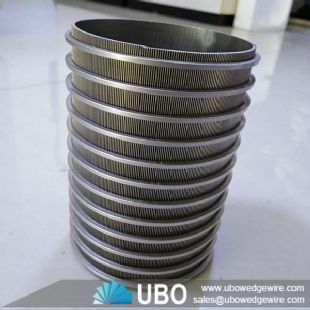 Johnson wedge wire slotted screen tube strainers are welded by profile V-wire and support wires,it is also called Johnson screen. 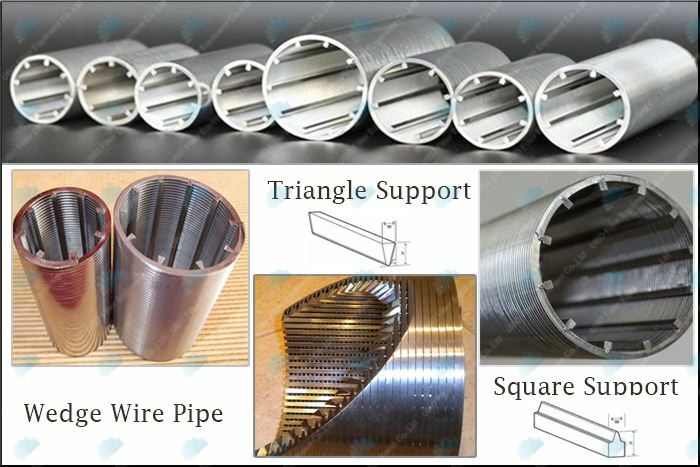 It has large filter area because of big opening,vee wire structure are easy for automatic back washing and avoid pipe blocking.The pressure will be reduced when water flows in for greater filter area,avoid the grains of sand flow in the wedge wire tube in the high pressure conditions,so extend the pipe's life . 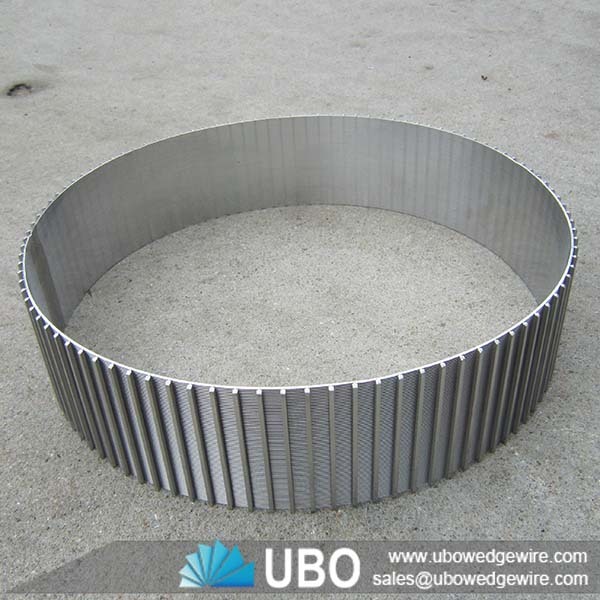 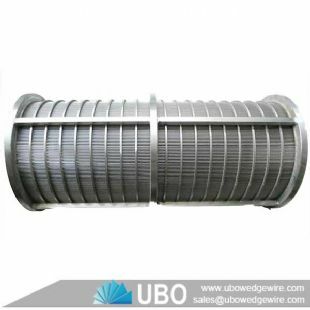 Between the same length,diameter and slot size,wedge wire pipe is thrice than bridge filter pipes. 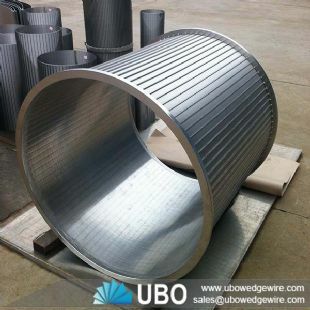 Moreover, we have inside perforated metal and wedge wire tube outside filter. 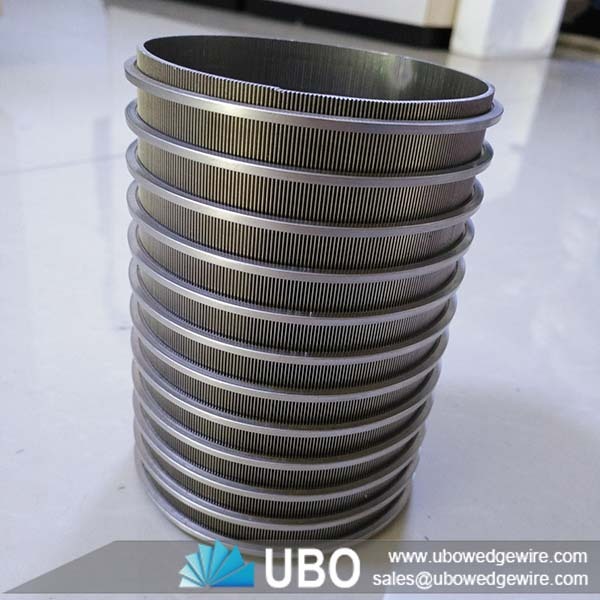 The wedge tapered opening becomes progressively wider increasing dewatering efficiency. 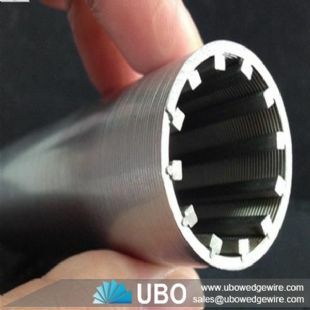 Non plugging,to make sure the smooth circulation. 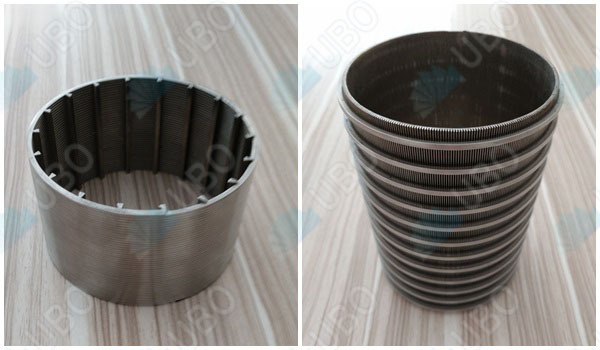 Slot sizes ranging form0.05mm to 20mm. 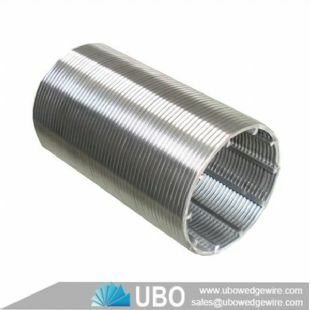 Durable and capable of carrying heavier loads without support structures. 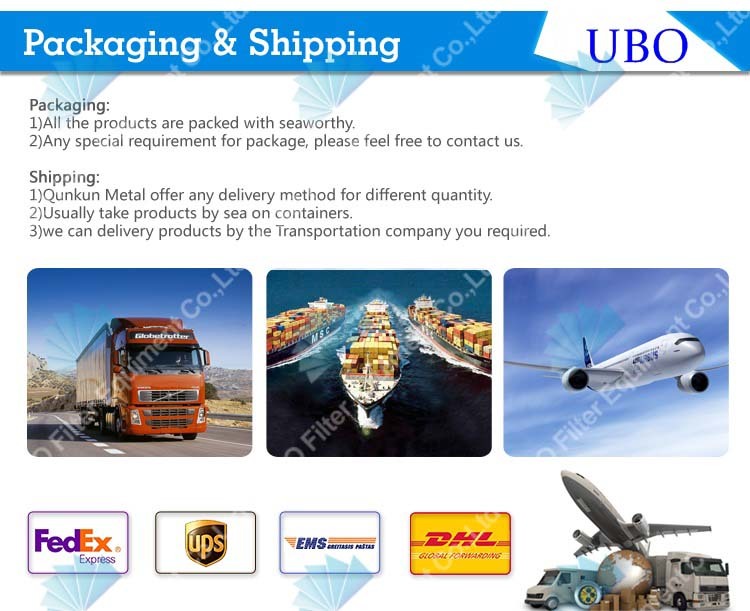 Easy to clean,long service life,safe and reliable,low comprehensive cost.